CAPE CANAVERAL, Fla. — Having met Nancy Atkinson in the waning days of the Shuttle Program, I was flattered when someone of her caliber allowed me to write for Universe Today. Now, operating my own site, I was flattered by her again when she asked me to review her book. Flattery gave way to respect and appreciation upon reading Incredible Stories from Space. These feelings were conveyed for good reason – the book pulled from some of the most astonishing missions into the black beyond our world – and was written by one of the most acclaimed science writers currently in service. Atkinson was contacted by the book’s publisher, Page Street Publishing, in 2015. They wanted a book discussing NASA’s robotic explorers and they asked her if she’d be interested in writing about that subject. “That’s not a request you get every day, and I was extremely honored and thrilled to be asked! It’s every writer’s dream to be able to write a book, so I’m grateful for this opportunity to share the passion and enthusiasm I have for space exploration,” Atkinson told SpaceFlight Insider. Atkinson went on to note that while crewed missions are extremely compelling and that covering those has encompassed a large part of her career as a writer, she has always held a spot in her heart for the autonomous pathfinders that explore our solar system. 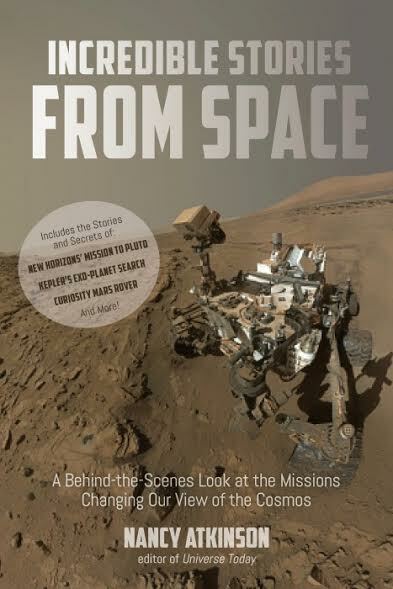 “What I found in writing the book was that while the stories of the missions themselves are compelling, with all the twists and turns along the way – from getting a mission chosen, launched; and operational, as well as all the challenges that come from doing mission in space – the stories of the humans behind the missions are equally fascinating. I feel privileged that 37 NASA scientists shared their stories with me for the book and I hope I was able to convey their incredible dedication and enthusiasm for what they do,” Atkinson said. As one might imagine, producing a book that covers the exploits of numerous automated missions, both those that stayed in space as well as those that traveled down to the surface of distant worlds, is a daunting affair. Which missions should she include? Which ones should be excluded? “The biggest challenge was narrowing down the choices of what missions to include the book. I ended up choosing New Horizons, Mars Science Laboratory, Hubble, Dawn, Kepler, Cassini, Solar Dynamics Observatory, Mars Reconnaissance Orbiter, and the Lunar Reconnaissance Orbiter – they each got a chapter – and then I was able to write about Juno and several other new and upcoming missions in the final chapter. But there are still several other missions that are equally as compelling, so leaving them out of the book was hard,” Atkinson told SpaceFlight Insider. Atkinson began writing Incredible Stories From Space in December of last year (2015). It took her about four months to both carry out the interviews and to pen the first draft. She had an additional two months to refine the text and to make necessary additions. She did not do it alone. A copy-editor and others at Page Street Publishing aided the writer who made her final edits this past July when she also chose the images that would grace the 224-page book (some 240 pictures total grace the book). Atkinson also drafted the captions for the pictures. It pays to have someone who is well-versed in the stories surrounding the opening age of space exploration that is unfolding as we speak. Atkinson has going on two decades’ worth of experience with the automated spacecraft, robots, and rovers that have been set to exploring the worldlets, moons, and planets that constitute our solar system – and bodies far, far beyond. After she had the raw sections of the book completed, Atkinson passed the book’s manuscript on to the production team and they continued to refine the selections of photos, as well as where they were placed in the book. Atkinson noted that she received great support from the publishing team. As an accomplished editor, one who has helped propel Universe Today to the heights the website has achieved, Atkinson employed the skills she has honed as an editor – in the production of this book. While the book might focus on robotic explorers, Atkinson noted that none of the work these probes have achieved would be possible without people. From high-profile “rock stars” like New Horizons’ Principal Investigator Alan Stern to the operators and mission managers who toil every day in anonymity – Atkinson shines a spotlight on them all. They are not the only personalities who are intertwined in the various missions that are currently underway. Giving them personalities has also granted them lives of their own. It is that – sometimes untold – story which provided Atkinson with the emotional fuel to pen a book on the subject of uncrewed missions into the black. As is so often the case with works close to one’s heart, Atkinson noted that Incredible Stories From Space is not perfect. Encompassing some 11 chapters, Incredible Stories From Space comes out just prior to Christmas and retails at an affordable $19.99. The book provides a detailed, and thoughtful, review of past and current missions that are utilizing ever-more sophisticated robotic explorers to expand humanity’s understanding of the cosmos. Atkinson has been writing since 2000 and has worked for Universe Today since 2004 when she picked up a pen to cover space astronomy. 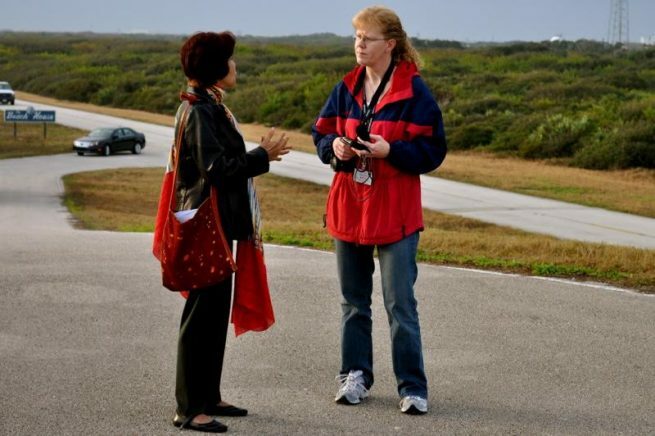 She also serves as a NASA / JPL Solar System Ambassador, a volunteer organization that works to detail the astonishing achievements of NASA’s Jet Propulsion Laboratory located in Pasadena, California. SpaceFlight Insider gives Incredible Stories From Space our highest recommendation and we encourage all of our readers to pick up a personal copy. Jason Rhian spent several years honing his skills with internships at NASA, the National Space Society and other organizations. He has provided content for outlets such as: Aviation Week & Space Technology, Space.com, The Mars Society and Universe Today.